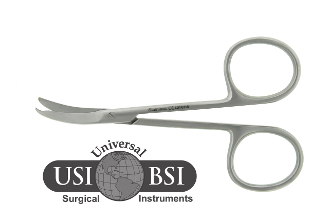 Our Northbent stitch scissor is primarily used for suture removal. The tip of the scissor is angled upward allowing it to easily slide under and lift the sutures prior to cutting. We also offer a shortbent version of the scissor which is slightly more delicate.